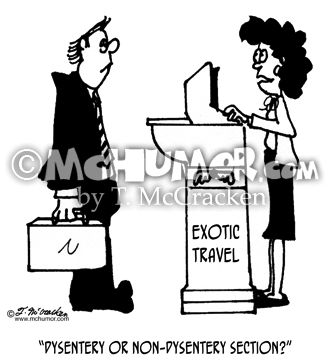 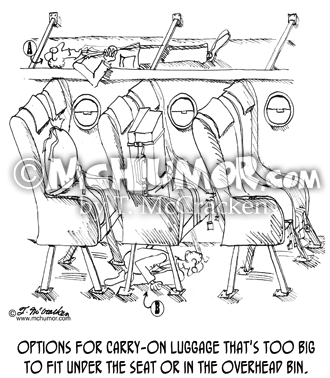 Luggage Cartoon 1005: ‘Options for carry-on luggage that's too big to fit under the seat or in the overhead bin." 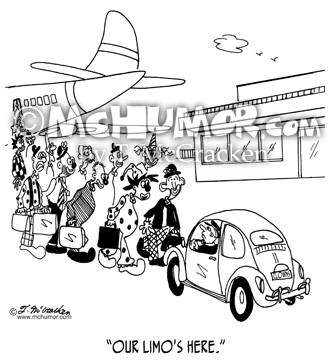 Luggage is seat belted in seats while passengers lie in the bin or are curled up under seats. 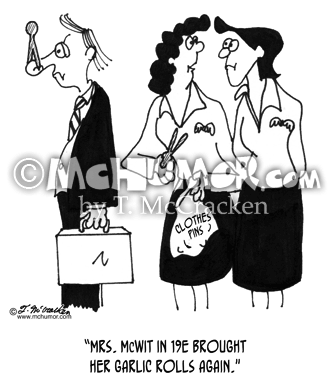 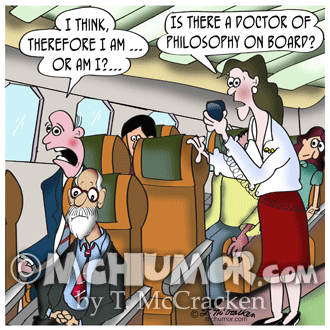 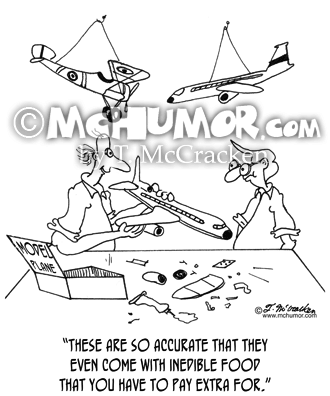 Flying Cartoon 4302: A stewardess handing out clothespins to passengers to put on their noses says to another, "Mrs. McWit in 19E brought her garlic rolls again." 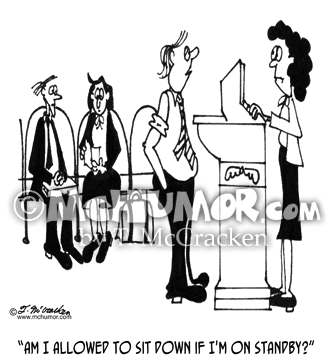 Flying Cartoon 4418: In an airport waiting room a tired man asks, "Am I allowed to sit down if I'm on standby?" 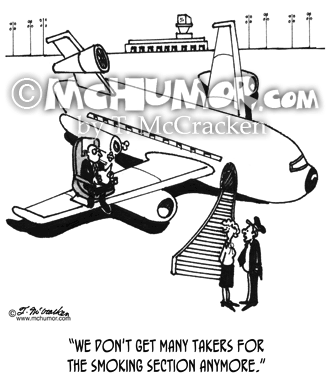 Phobia Cartoon 4985: A nervous man gets off a plane, kneels down on the ground and says, "I hate flying. 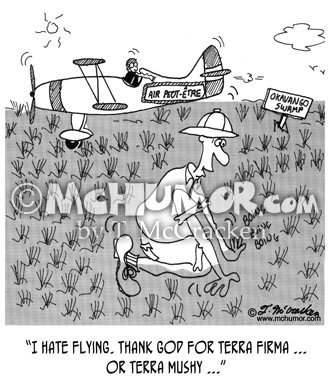 Thank God for terra firma ...or terra mushy ..." He realizes that he’s landed in a swamp. 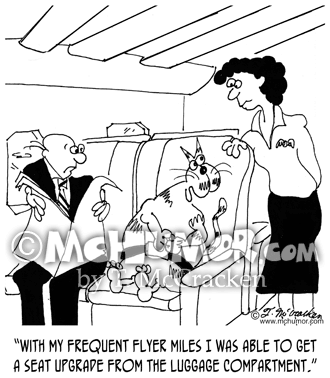 Cat Cartoon 6790: A cat sitting in passenger seat on a plane says, "With my frequent flyer miles I was able to get a seat upgrade from the luggage compartment."